Festo, a global leader in automation technology and the world market leader in industrial training and education. 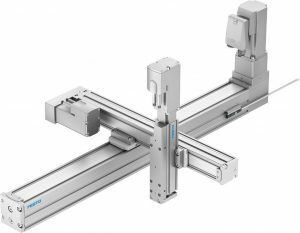 Festo’s pneumatic and electric drive technology stands for innovation in industrial and process automation, from individual products to ready-to-install solutions. Festo offers all the building blocks for your pneumatic automation project: actuators, valves, air preparation, sensors, and tubing/fittings. One platform for electric automation means seamless connectivity. 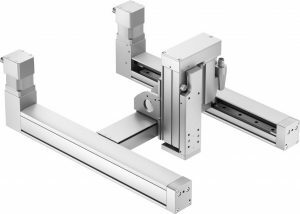 From electromechanical systems, servo motors and servo drives to complete positioning systems, motion control solutions as well as entire handling systems and decentralised control solutions. 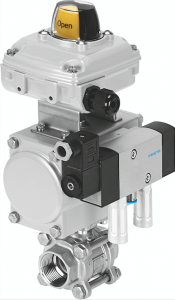 Festo offers a wide range of process products and complete process solutions including process valves, sensor boxes and positioners. At the control level, Festo offers pneumatic valves, valve terminals, I/O systems and HMIs which integrate seamlessly with leading DCS and controller technology. Think Festo for your one-stop, complete automation solution provider.